Ulundorai / Iyengar ulundhorai is made on festivals and special occasions. Another traditional/authentic iyengar recipe which I never came across while browsing. But people who often visit Perumal temples must be knowing this as a prasadam. Ulundhorai is served as prasadam in Perumal kovil (temples) and is very famous in Melkote temple. It is pronounced as ulundogare in Karnataka. 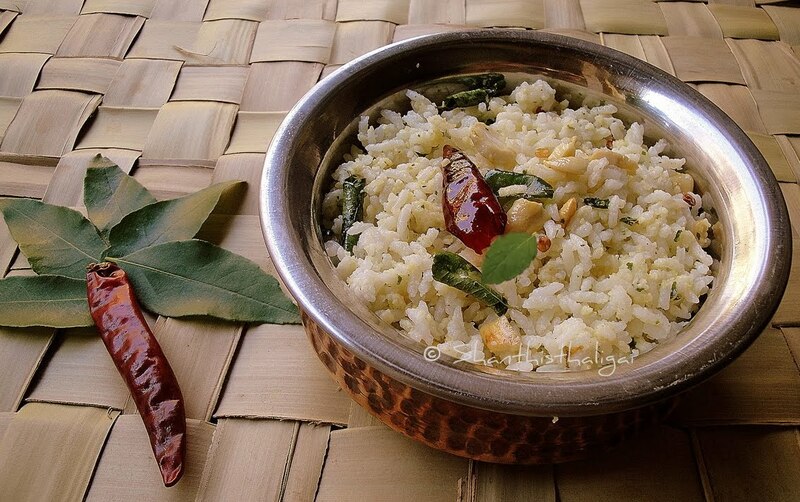 There are endless varieties of rice recipes in Iyengar cuisine. 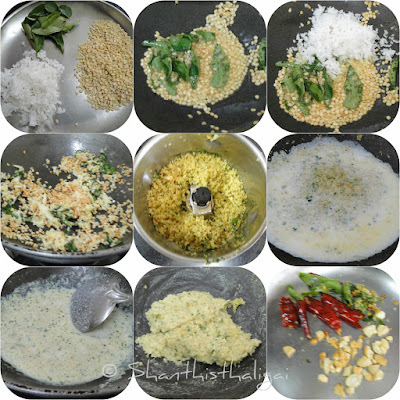 Click on the names for some other Iyengar style rice recipes. Iyengar puliyodharai, Milagorai, Melkote Puliyogare, Tirukoshtiyur tirumaalai chamba, Ellorai, Lentils khichdi, Iyengar special kadambam, Kalkandu bhath (iyengar style), Chitrannam, Akkaravadisal, Vennpongal. Cook rice in such a way that the grains are separate and not sticky. Spread the cooked rice in a plate and allow it to cool. Heat a tablespoon on ghee in a pan, add urad dhal and fry until golden brown. Now add curry leaves, hing and grated dry coconut. Saute for a while. If using fresh coconut, saute until the coconut is crisp. Transfer to a plate and when cool, grind it in a mixie to a coarse powder. In the same pan, pour milk, add the ground powder and keep stirring. The urad dhal mixture should be well cooked in milk. When it becomes like a paste and starts leaving the sides, add salt. Mix well. Remove from fire. Add this paste to the cooked rice according to requirement. Heat 2 tablespoons of ghee, fry cashews until golden brown alongwith dry chillies and curry leaves and add it to the rice. Mix gently without breaking the grains. Alternatively, the cooked rice can also be added to the paste in the pan, alongwith temperings and mixed gently. 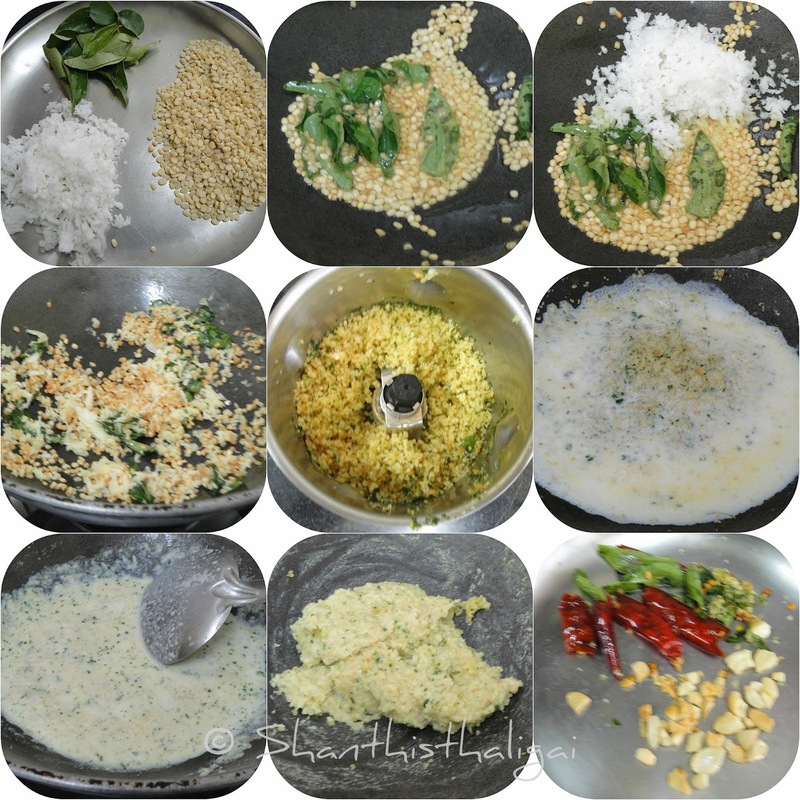 Garnish with thulasi. Authentic Iyengar temple style Ulundhorai / Ulundorai is ready for offering to Perumal on Purattasi Saturday. No accompaniment is necessary, but can be served with fried vadam or appalam. wow that is very authentic and delicious ulundhorai :) looks so tempting , a healthy dish..
What an unusual and interesting recipe! We make a similar paste in Andhra which is used as a base for curries, usually made with gourds. Am going to try this rice one! I have heard about this recipe but never tried it. Now, will do! Thank you!